Happy Friday! We're wrapping us this week of gift inspiration with 5 adorable accessories to top off any occasion's presents. 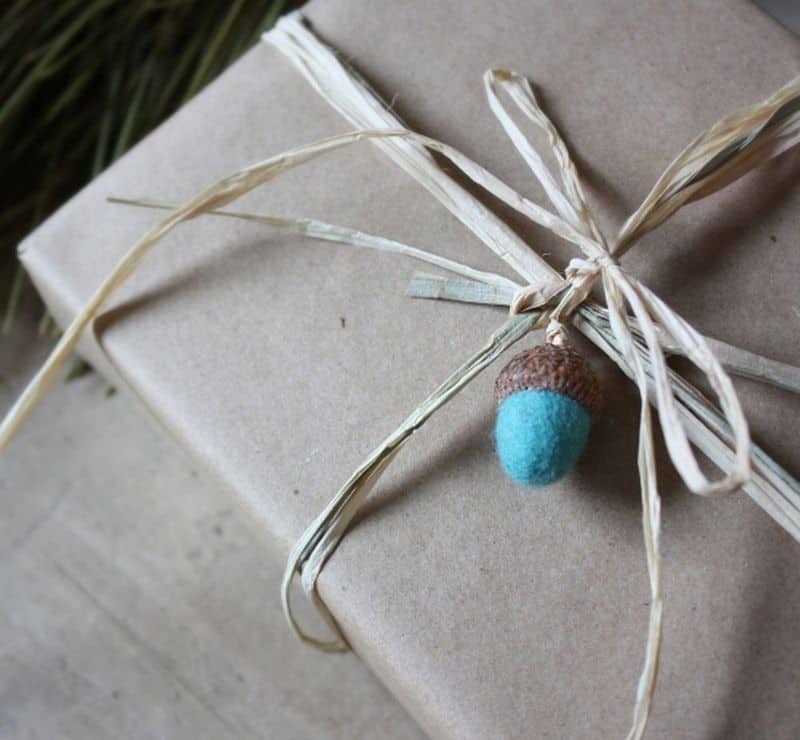 From felted acorns to box-top forests, these DIY gift toppers are gifts on top of gifts! The best part is, they use supplies you can find lying about your house (or yard!) and are super simple to finish. Start your holiday stockpile of gift toppers this weekend, and happy crafting! Squirrel away some acorn tops this fall to make these precious felted acorn toppers. 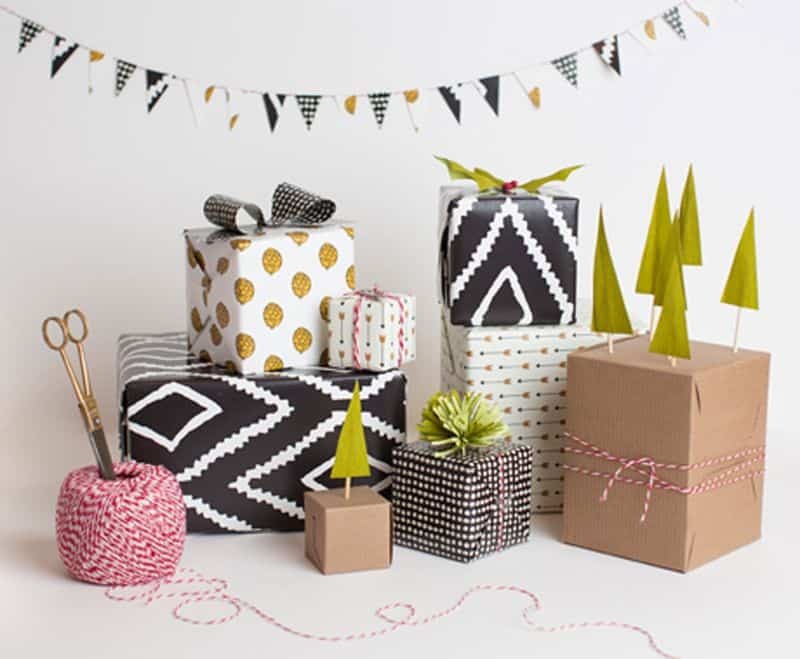 Snip your way through these 5 paper gift toppers for a perfectly coordinated set of gifts! 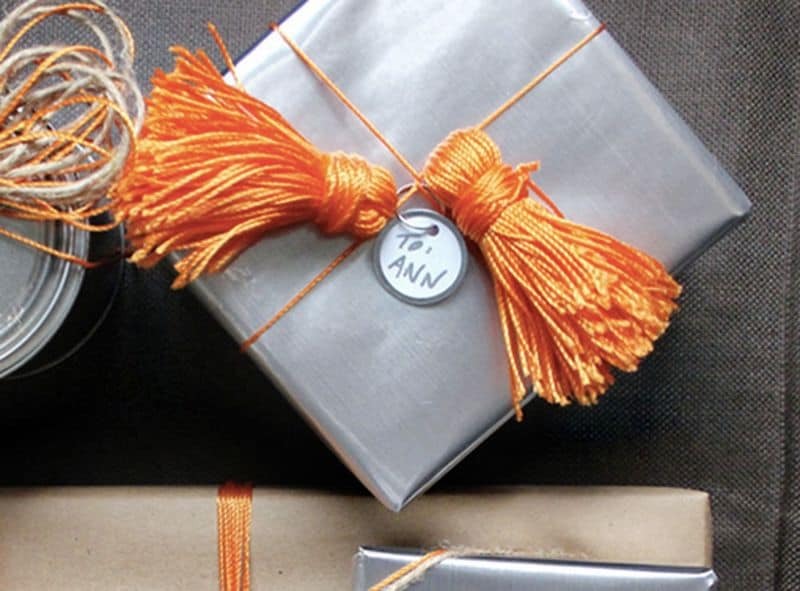 You can find the lovely Kate Zaremba gift wrap used in this tutorial on Etsy! Repurpose the cuff of an old tee to create a lovely double ruffle gift topper. 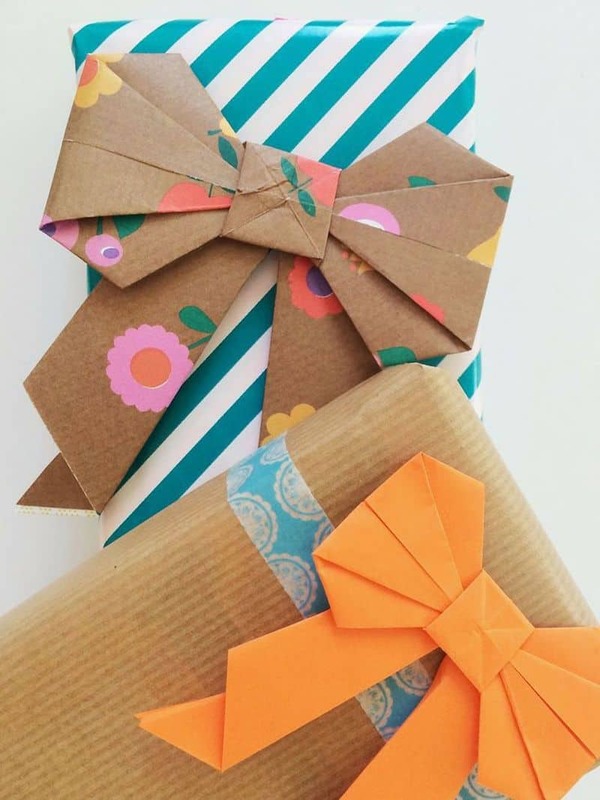 Fold beautiful paper scraps to create origami bows. 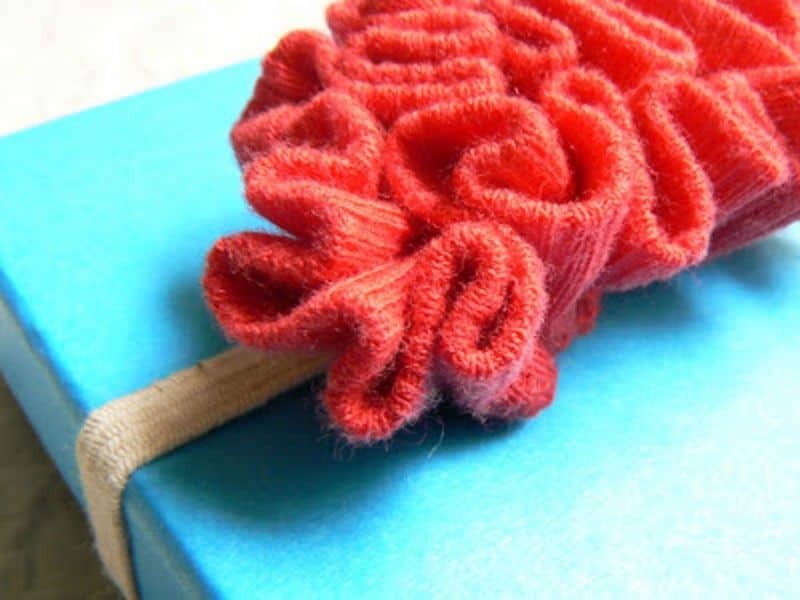 Use any string you have laying about to create these awesome tassel toppers.